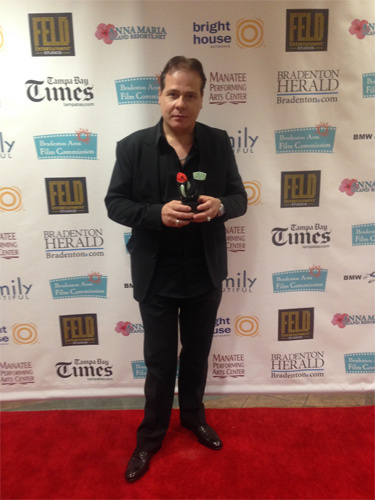 TORONTO, May 20, 2014 – this past weekend, Frank D’Angelo’s second feature film foray “The Big Fat Stone” took home the Best Picture award at the 2014 Movieville Film Festival in Bradenton, Florida. The movie was also nominated for Best Actress (Margot Kidder) and Best Director (Frank D’Angelo). 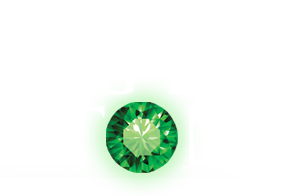 The Big Fat Stone is a modern day tale about being at the right place at the right time, and how with a simple twist of fate, everything can change forever. It tells the story of Edward Rizzo played by Frank D’Angelo, a homeless man who by circumstance gets a chance at a new life. It’s an emotional rollercoaster of a story that tugs at audience’s heart strings. The film was written, directed and stars Frank D’Angelo alongside a stellar list of actors including Robert Loggia (Academy Award & Emmy nominee; Scarface, Independence Day, Jagged Edge, Big); Nick Mancuso (Under Siege, Ticket to Heaven); Ray Abruzzo (Last Vegas, Sopranos, The Practice); Tony Nardi (Speaking Parts, Bonanno - A Godfather’s Story); Tony Rosato (Saturday Night Live, SCTV); John Savage (The Deer Hunter, Hair); Margot Kidder (Superman movies, The Amityville Horror); Jennifer Dale (The Unknown Origin, The Adjuster, Larceny); Michael Paré (Eddie and the Cruisers, Streets of Fire); Art Hindle (Paradise Falls, ENG, Invasion Of The Body Snatchers); Ellen Dubin (Napoleon Dynamite, The Collector); Sean McCann (First Do No Harm, Affliction, Tommy Boy), Frank D’Angelo and many other talented actors. The Big Fat Stone is currently on a film festival tour across the globe with the next stop in Toronto at the TIFF Light Box 350 King St. W. during the Italian Contemporary Film Festival, on Sunday June 15, 2014, 7:00 pm. Tickets are available at www.icff.ca/toronto. 2014 is shaping up to be a very good year for Frank D’Angelo as his first feature film “Real Gangsters” has been one of the most successful independent movies downloaded on Rogers on Demand and is now being played on Video on Demand across Canada and USA. Also, the album and soundtrack for Real Gangsters titled “Just Give Me One More Moment” continues to climb the charts in Canada and the USA with the song “Now” being the third most added track in America last week on the FMQB adult contemporary chart. And this summer, Frank D’Angelo and his 15 piece band will be on tour across Canada for his new album with the first stop at the MOD CLUB, 722 College St., Toronto ON Thursday, July 17th 2014 at 7pm. Tickets are available at www.FrankDangelo.ca.